Have a friend who loves our store? Need a perfect gift? Look no further! 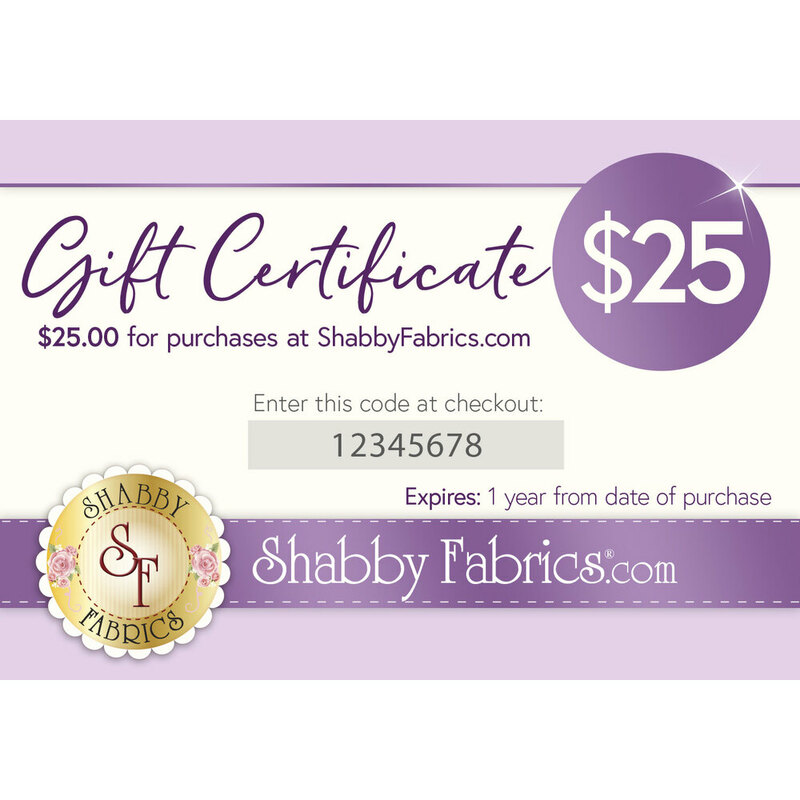 Shabby Fabrics gift certificates are available in a wide variety of amounts and are valid on everything in our store! The Gift Certificate Code will be E-mailed to the purchaser immediately following checkout. Gift certificates expire 1 year from date of purchase. Coupon Codes cannot be applied toward the purchase of Gift Certificates. Gift Certificates will automatically be excluded if you enter a coupon code.